If you have Amex cards you know that each card gets targeted offers that can range from fixed dollars off a purchase, percentages off a purchase, bonus reward points for certain purchases or additional points per dollar spent. Recently two offers have shown up that I think are worth mentioning. This offer should be a piece of cake for just about anyone. 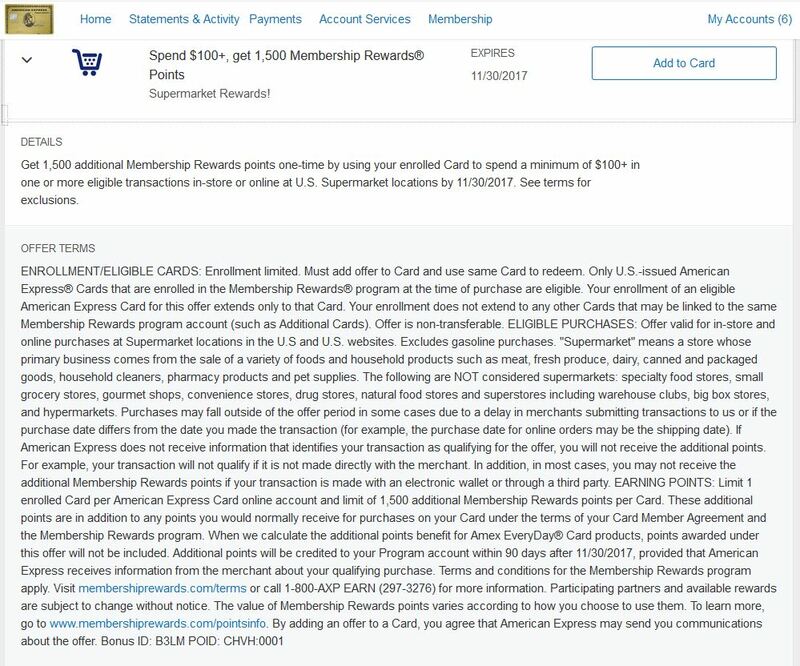 Spend $100 in a single transactions or multiple transactions between now and when the offer expires on 11/30/17 and get 1,500 additional Membership Rewards points. There’s not even a need to do manufactured spending on this as even those of us who don’t cook can spend $100 in three months! This one is highly targeted and I’m not 100% sure it will work for me but I’m going to try it anyway. 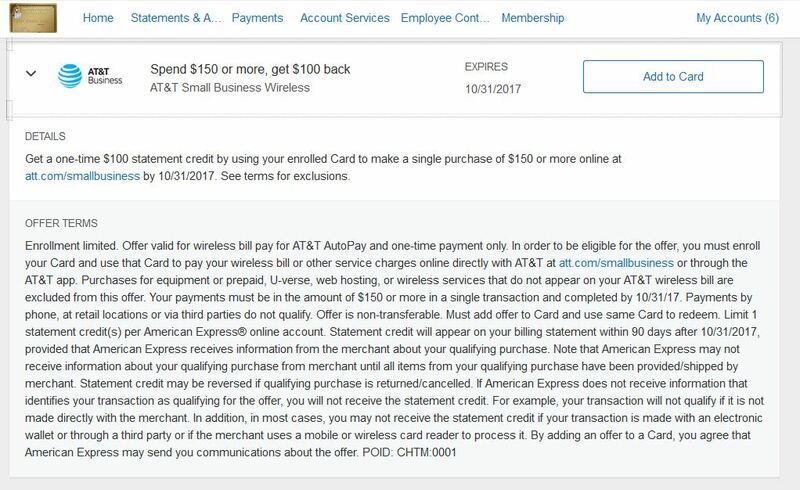 As the title indicates, spend $150 or more in a single transaction with AT&T Small Business Wireless and get a $100 credit. My cell phone is a personal one, not for my small business so I don’t know if it will work or not and my cell phone bill is less than $150 but I’m going to try to pay a month ahead just to see if it will work. At worst I’ll still get one point per dollar but it’s worth a shot for $100.